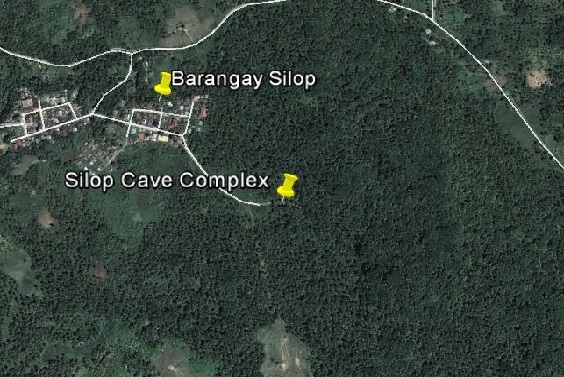 Silop Cave Complex (SCC) is in Barangay Silop, Surigao City, Surigao del Norte, Caraga, Philippines, which is accessible via daily flights from Manila and Cebu. SCC is located at 9.740553°N, 125.515011°E. It is just 15 minutes from the Surigao City Airport. It now has sixteen-cave entrances system (out of a possible 23) as of June 2014. Of particular interest is Cave 4a which is part of the established 16 other entrances. It is the only water cave in the system where freshwater runs through the cave at an average depth of 5 feet in the dry season. Certain lengths are as deep as 8 feet. Source pool is 20 feet deep or deeper. The cave is estimated to be 1,000 meters long to reach the source pool. As of today, there is no baseline information for which the LGU can use as basis to start protecting the area. Today cave 4A’s waters remain an enigma as to its contents, composition and importance to the surrounding forest. Since 2011, the FCD members have spent personal finances to investigate the nature of the SUCS to find out about the value of protecting the area against urbanization. Fish, shrimp and bats are commonly found. However, it is under threat from siltation and runoff caused by gold-panning activities in nearby upland areas. In the surrounding areas, unclassified bats and primates are commonly seen. 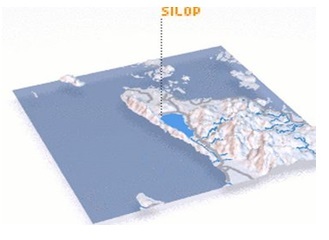 The Silop Underwater Cave System (SUCS) is a contiguous ecosystem joining the underwater cave and the terrestrial area that are unique and a home to a wealth of unexplored biodiversity. Concerned stakeholders now fear that the gaining popularity of the site will result in the degradation of the critically fragile ecosystem and will result to the loss of the still undocumented biodiversity treasure. The Local Government Unit is amenable to the conservation of the area due to its enormous potential for eco-tourism and understands that intervention must be brought-in in order to preserve the area’s main attraction-its pristine and water feature. It can be said that currently, there are no significant interventions for conservation being done in the area. The key stakeholders of the SCC and terrestrial ecosystem include the people and communities of Surigao City, the barangay of Silop and of the Province of Surigao del Norte, along with the tourists and the tourism service sector. This is one of the areas that the FCD will be surveying early next year with the funds received from the BMB- GIZ PAME project.